First thing I noticed when unpacking the VX-5 Twenty was what a nicely solid and beefy amp this is! 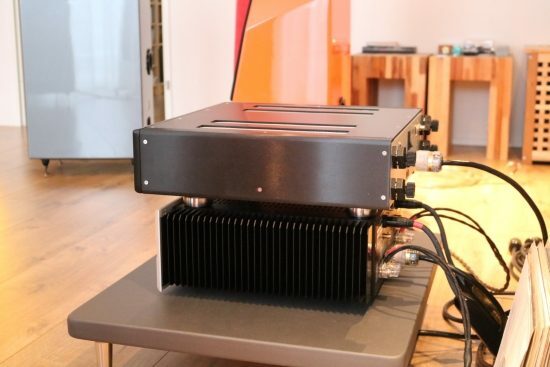 I mean, the Bryston 4B Cubed (SST3) is not a small amp, but when stacked on top of it, the Ayre almost makes the Bryston look compact. 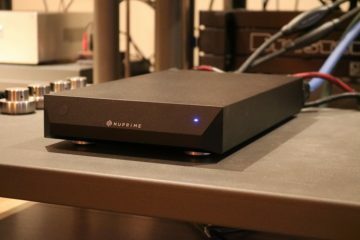 Sized at 43,5 by 43,5 cm the Ayre is more than averagely deep indeed but its width is in line with the large majority of audio components out there. Meanwhile its compact 11 cm height makes it look much less chunky than it is. Certainly when placed by itself on the Artesania platform, it looks downright sophisticated. 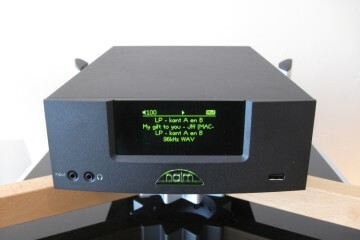 According to the website, “The Ayre VX-5 fully-discrete, fully-balanced, zero-feedback amplifier features our exclusive Equilock circuitry and our Diamond output stage giving it both the power and control for the most demanding musical passages.” Importantly it needs to be noted that some zero or low feedback amps can lack bass control and the sense of power, and while early Ayre amps were reportedly indeed a little less capable in these field too, the VX-5 Twenty promises to address this fully. Jumping ahead to the conclusion I can confirm that this is indeed the case! In spite of using no feedback, the VX-5 Twenty has superb bass grip. Playing with Wilson Audio Watt/Puppy 8 with Jorma Design no.3 speaker cables and Transparent Ultra XL interlinks and going from Bryston 4B Cubed to the Ayre, still sat on top of the Bryston coupled via Finite Elemente Cerapucs, the sound is seemingly thinner, Bryston is still a bass-monster after all, the Ayre’s bass has less weight to it, but is also more punchy and agile. 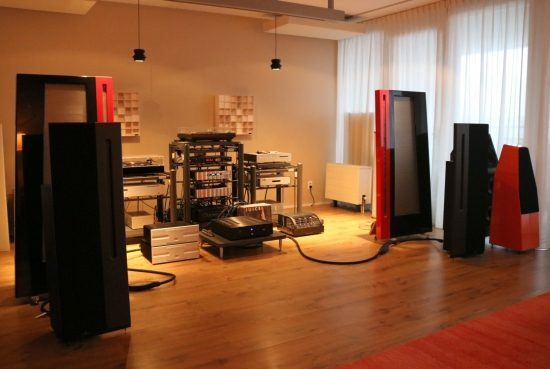 The Ayre does not feel faster per se than the Bryston, but the notes do start and stop with greater precision. The rest of the sound is also a little leaner, yet also quite a bit more refined. It’s not that the Bryston lacks resolution (although older Brystons do), but the Ayre does reveal more about the textures and overtones of instruments. 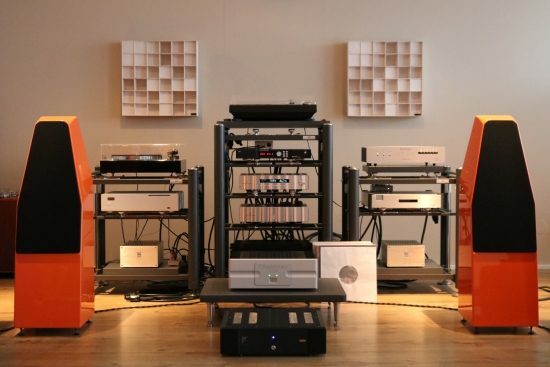 To put this into visual terms: if the Bryston is HD, the Ayre is 4K, or something like that. After having listened to the very generous and sonorous sounding Bryston for a longer period, and retaining all cabling, it does take some getting used to the cleaner Ayre sound, but the VX-5 Twenty sure is a very pure, uncoloured, gentle and mightily refined sounding amp. People used to hearing older generation Bryston amps might be surprised if I said that the current cubed series sounds super-smooth, but this really is the case. But this extra smoothness also takes its toll in terms of agility and transient sharpness. In other words perhaps the Bryston is just a little thicker in its presentation overall, and not necessarily as precise as the leaner sounding Ayre. 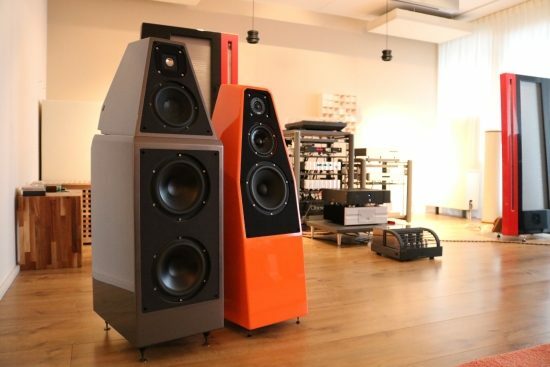 The Ayre’s treble is less obviously creamy than the Bryston’s, but super-delicate and of higher resolution. In fact its treble very much reminds me of the super-airy treble that my Jeff Rowland model sixes had, which has always been unrivalled in that aspect by any other amp that I tried, even tubes. Alas I have sold them so cannot compare this using the Wilsons, but in terms of timbre, transparency and overall delicacy, the Ayre sure has a sound more than a little remeniscent of these amps. The Wilson Sabrina is very different from the Watt/Puppy 8, sounding less pure and articulate, but countering with a very smooth and generous sound. It is with this speaker that the Ayre combines even better, the VX-5 Twenty’s very agile presentation working very synergistically with the Sabrina’s warm midrange to produce a very well-balanced sound. The Jorma no.3 speaker cable passes through all the refinement and detail that the Ayre provides, but is itself also a little lean sounding. 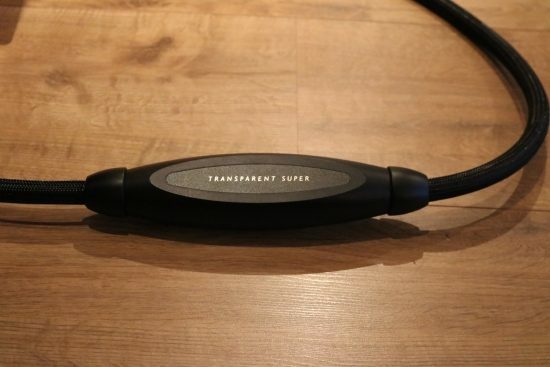 So, in come the Transparent Audio cables. 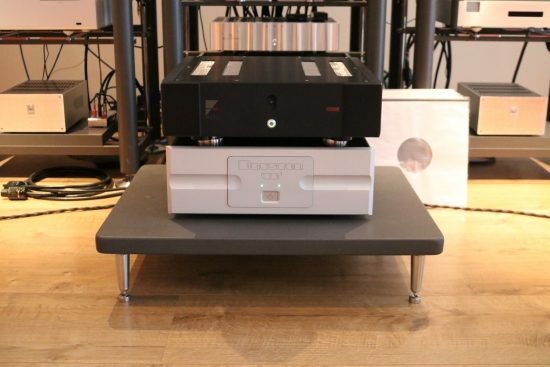 Above and below: Ayre VX-5 Twenty on top of a Bryston 4B Cubed (with Finite Elemente Cerapucs). Switching from the Jorma no.3 to the current edition Transparent Super speaker cables that Michael kindly also provided, the Ayre gains a good deal of sonority and body while retaining dynamics and PRAT. The combined sound of the Ayre + Transparent Super speaker cable is still cleaner than with the Bryston and Jorma speaker cable but the 100% grain-free treble, the superb liquidity and overall high resolution indicate that the Ayre is ultimately probably more honest, more painting the picture as it is. Although less obviously big as with the Bryston, the Ayre’s soundstaging is very precise, with nicely holographic imaging. 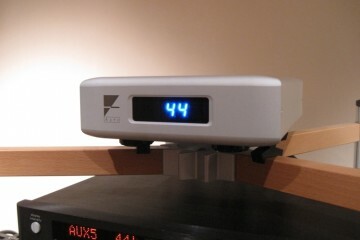 Subtle reverberances are another forte of this amp. It is entirely possible that you will hear new subtleties in well known recordings. Also changing my old Ultra XL interlinks for the current edition Transparent Supers, the sound is further solidified while retaining the amp’s light-footed character and amazing resolution. Along with another increment in sonority in bass, the midrange now has more body while creating a more lifelike timbre, culminating in an overall character that is still amazing in its subtlety but also entirely acoustically convincing. Soundstage width now has also increased but without taking away imaging precision. This just goes to show how important it is to make the right match, not only inter-component but also in terms of cabling. These seemingly unimportant ancillaries really can make or break a system. In more ways than one, the Ayre is like the transistor version of the Audio Research Reference 75 SE tube amp. Having both amps side by side I can confirm that they are quite equal in terms of transparency, tonality, refinement and delicacy when used with the Wilson Sabrinas. This is a big compliment for the Ayre because very very few transistor amps manage to sound as delicate as this truly outstanding tube amp. The main thing that the Ayre does not do compared to this tube amp is to provide that utterly magical and lyrical midrange, but no transistor amp I heard so far can do this to such an extent. 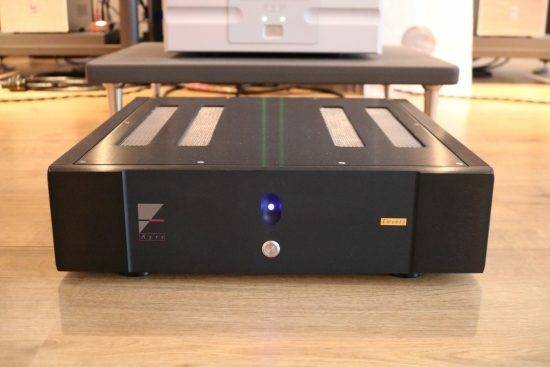 As the Duetta Signatures are still set up too, why not see how they work with the Ayre? 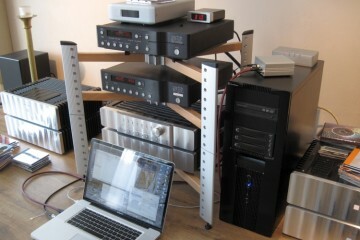 After all, as I have used Apogees for almost a decade these are the speakers that I am most familiar with. For more than a decade, the Centaurs were used with Jeff Rowland model sixes by their owner and dear audiofriend JW. If the Ayre has some Rowland DNA, surely that should be evident now! 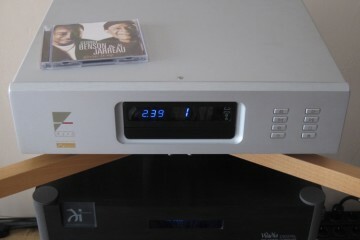 Connected with current edition Transparent Super XLR interlinks and Transparent Super speaker cables, I commenced listening. Listening to Rippingtons and Russ Freeman, music that was typically played by JW on these speakers, indeed the Ayre has treble that is very similarly refined and airy as what I recall the Rowland sixes to sound, and as a bonus it has more powerful bass and is definitely more transparent and revealing. 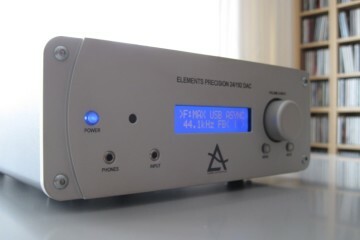 Even when fed with a Cardas Clear Beyond power cable and connected with Transparent Super cables on its inputs and outputs tonally the Ayre is slightly slender but with better bass than the sixes ever managed with the Centaurs. This really is a very pure sound! 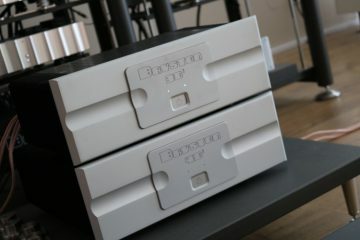 The Ayre is very consistently articulate and refined from the top all the way to the bottom, where the bass does not have any excess weight or fatness, but nevertheless has more power and drive than with most other amps, including the aforementioned Rowlands. Wow! 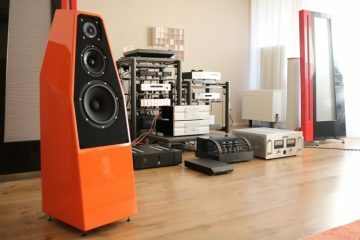 That’s the first thing I exclaimed out loud after listening to the Ayre with the recently re-refurbished Apogee Duettas. As hinted at before, I now know for sure that the Ayre most definitely has all the refinement and treble air of the Rowland sixes. 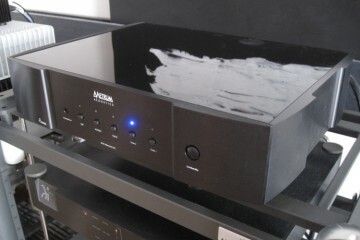 Additionally its timbre is more natural and its bass more ballsy and more impactful. Given that the sixes were my references for almost a decade, again: wow. The one thing where the Rowlands had an advantage is in terms of richness and lyrical expression in the midrange, the Ayre being comparatively cleaner but also purer, just as the Ref75 is when compared with the sixes. The Ayre does need some warm up and sounds smoother after playing for about an hour, so I made sure to have it warmed up the whole night prior to critical listening to make sure it gave its best. I found out recently that the Duettas work very well with the Ref75 as long as you don’t play them loudly. 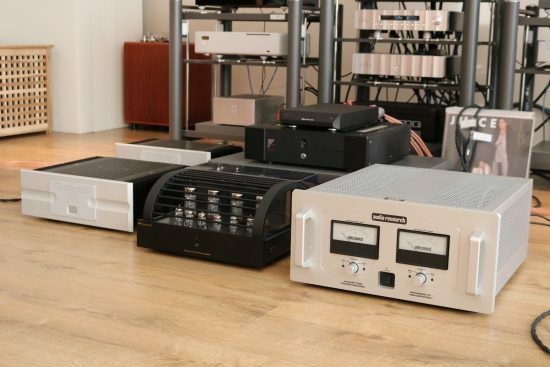 The amp is ultimately limited in power and while the Duettas may provide a pretty linear impedance curve, they’re decidedly low in sensitivity. 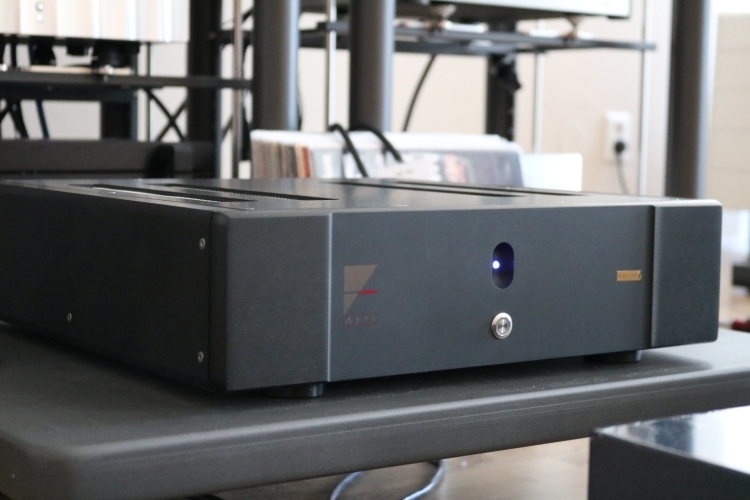 As would be expected from a tube amp, the Ayre does not have all of the Ref75’s lyrical swing and richly emotional conveyance in the midrange, but neither does the Audio Research have all of the Ayre’s bass control and power. It’s horses for courses really. People wanting a tube amp will not get a transistor amp and vice versa. 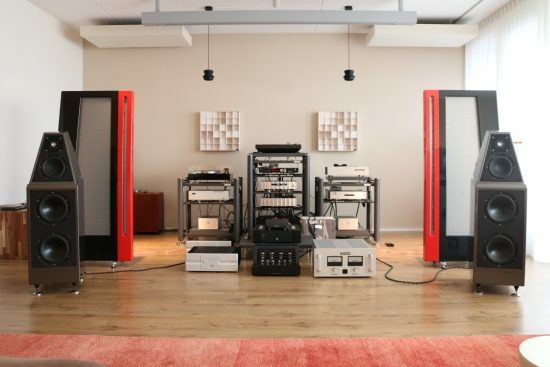 But still, between the Audio Research and the Ayre, there is more similar than different. 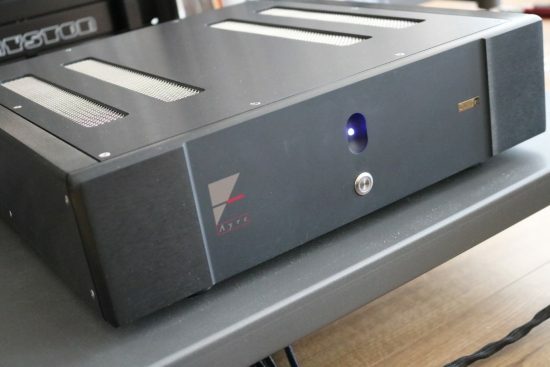 In a way it is like merging AVM, Jeff Rowland and Audio Research and out comes the Ayre with strong aspects of all these amps, and at an absolutely reasonable price that even seems a little out of place among the current elevated high end prices. The VX-5 fully delivers on all the goals that the company set out for it. The Ayre sounds fast, powerful, nimble, transparent and highly detailed yet fluid, airy and utterly unforced. 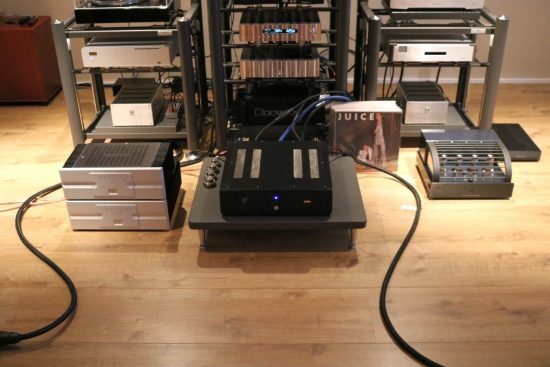 It’s a combination of audiophile qualities that you don’t often find in audio components, certainly not in power amplifiers. The VX-5 Twenty is a beauty to look at and it delivers the most refined sound that I have heard from any solid state amplifier so far. Add to this that it is priced very sanely and it becomes something of a bargain.